The excellent Tim Haigh interviewed me for his podcast recently about my experiences in the wonderful/horrible world of British film in the 1970s and 1980s – he’s a really thorough researcher, and always manages to ask the questions other interviewers miss out. It’s a great way for a writer to remember the other stories he should have put in the book, dammit! That was a very enjoyable twenty minute podcast. Helped me forget I was catching up with the washing up and brought to mind some more great b&w films from my youth. Thank you! Bookmarked for later in the week, I noticed that there is also a podcast on ‘Invisible Code’ available on the same page. For those that fancy ‘doing the double’. Have downloaded and will listen to over the weekend. 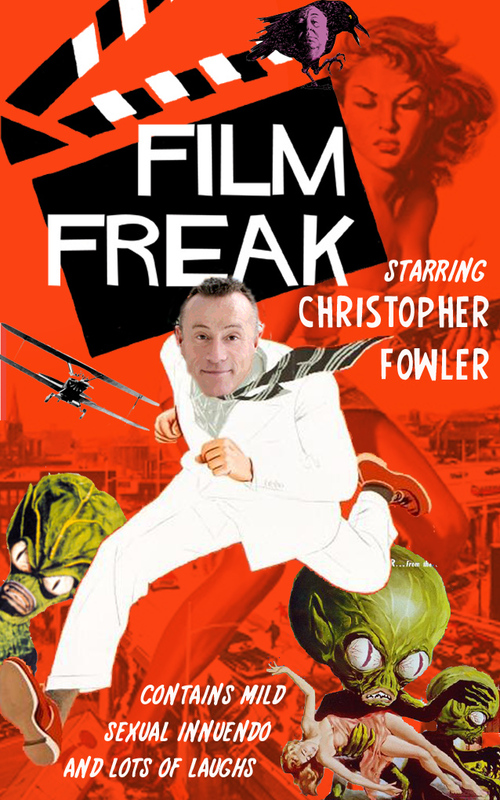 I just yesterday finished reading Film Freak (in ebook format). An absolute delight. How much did I enjoy it? I kept emailing friends and repeating various anecdotes (and telling them all repeatedly to buy their own copy). We are all furiously jealous of your Star Wars experience 🙂 The worst part is wanting to watch the films you mention and knowing that many of them are out of my reach – though I did just order Witchfinder General from Amazon UK. Thank you for entertaining me once again. Will there be a third autobiography?